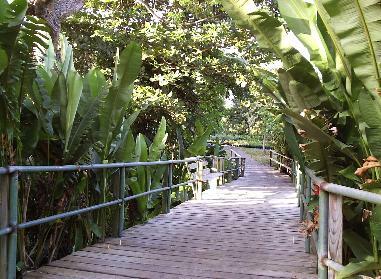 Cruzan Gardens , the Island ’s oldest & largest nursery and landscape company, creates distinctive outdoor environments that are unique, attractive and functional- landscapes that enhance the aesthetics, value and ecology of each site. Cruzan Gardens offers professional landscape services that suit your individual tastes, property and lifestyle, from low maintenance landscapes to lush tropical gardens. Rooted in nearly a half-century of landscape and nursery experience, Cruzan Garden's designers and craftsmen bring creativity and vision to your landscape, creating the beautiful and functional setting you envision. Cruzan Garden's team will create a memorable outdoor environment to be enjoyed every day, while guiding you through the design and budgeting process to ensure your project reaches its full potential. Please contact us today to put Cruzan Garden’s expertise to work for you! Cruzan Gardens is located on 14-acres in America's Paradise, St. Croix, U.S. Virgin Islands and has been serving our community since 1963. We offer a full service garden center featuring organic pesticides, fertilizers, soil amendments, including EarthJuice and FoxFarm. We stock a full range of growers supplies including professional plant lighting, climate control, hydroponics and garden accessories. Our production facilities feature thousands of native and ornamental container stock, propagated and grown out on site, as well as a 10-acre parcel with field grown trees and palms. Cruzan Gardens also offers landscape architectural services, design/build landscaping, irrigation systems, outdoor lighting and professional grounds maintenance. Cruzan Gardens is the only full service grower, garden center and landscape construction company on island, and is uniquely qualified to handle any project of any size, on time and within budget. Copyright 2018 Cruzan Gardens. All rights reserved.